Integrating print and broadcast journalism in a high school media class. 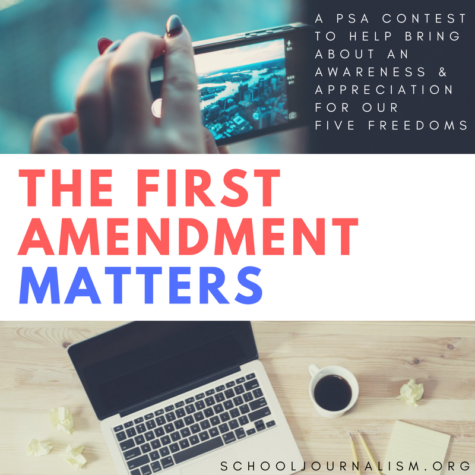 A plan to introduce students to Web journalism and how it differs both from print journalism and public relations, with the purpose of creating a school journalism Web site. A lesson about taking your student media program online. Breaking news events can offer a way to incorporate multimedia tools into your class or publication. Not all stories make good multimedia stories. The best are multi-dimensional. They include action for video, a graphic, someone who can give some pithy quotes for video or audio, and/or strong emotions for still photos and audio. Most multimedia stories require that the reporter go into the field to report. This tutorial goes through the different types of media — video, photos, audio, graphics/maps and text — and the kinds of stories or characteristics of stories that lend themselves to each. A look at the major digital tools and trends that are disrupting the news industry and changing the way journalists do their jobs. Data visualization has become an important component of storytelling, allowing journalists multiple avenues to present information and content to audiences in the digital era. Here is a guide to using google to learn how to code. SoundCiteJS makes including audio in stories more seamless by putting it right under the text. Viewers can then listen from the same window while they continue to read. A voice-overs is a narration done by a reporter, usually from a script. The voice is recorded over video clips that tell the story. A standup is when a reporter appears on camera to narrate part of a story. Gifs are slideshows of images or short videos (or both) that play on repeat. This article from Poynter discusses the prevalence of Gifs in the world of multimedia, and how they can be effectively translated into a journalistic setting. It mentions the different Gif makers that are available on the internet, (Gickr, Gifsoup) and the smartphone apps (Cinemagram, Gifboom) that have created social media networks around gifs. Here is an example of how a prominent news website used gifs to supplement a story. Google GIFs lets you search just for animated GIFs — and Storify now lets you embed them, too. Infographics take information, like numbers or statistics, and make them easy for the reader to understand. They are visually engaging, and the more creative, the better. If an infographic is good, the reader should be able to look at the infographic and after a quick glance understand what the numbers mean and why they matter. Here is a list from online tech magazine Onextrapixel of user-friendly websites for making infographics and tutorials. Piktochart is an easy online resource for making infographics. Here is a step-by-step guide. Google Fusion Tables are still in its experimental phrase, but they allow you to make visual representations of your own data and from data elsewhere on the Web. Datawrapper is an efficient tool for making charts and embedding them into websites. It’s free. Tableau Public is another free resource that allows you to take data from online databases and convert it into an interactive representation of the data in three easy steps. Premiere is the most popular video editing program that works on both Windows PCs and Apple computers. Made by Adobe, it is comparable to the Final Cut Pro video editing program for the Apple platform. Once you’ve finished editing your video (or audio), you’ll need to reduce its file size so it can be published on the Web. Videography pertains to the newspaper industry, and this video shows you how. Here are some shooting techniques to help you avoid some of these common mistakes: trees or poles behind someone’s head, subjects who are darkened blurs because there was bright light in the background, boring shots of buildings.